2014 should be the year that organizations realize that the success of collaboration platform deployments extends far beyond just looking at technologies. On the vendor side I still see room for consolidation and for more market segmentation between small, mid, and enterprise size platform offerings. I think many vendors have also shifted gears from focusing on innovation to focusing on marketing and sales. I think this may continue through most of 2014 but hopefully towards the end of the year and the beginning of next year we will see more of a focus on the products themselves. 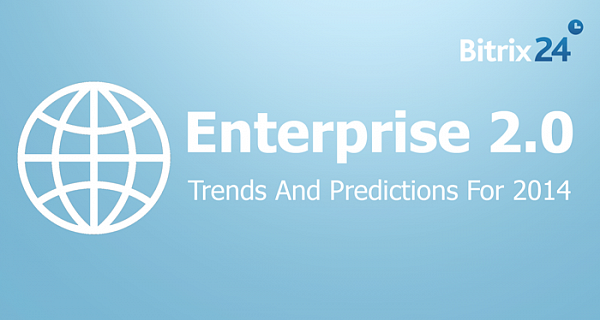 In 2014 vendors will focus on ways that the tools can help people narrow down their focus. We've spent the last few years overloading people with openness and transparency, now it's time to help people know exactly what it is they should and shouldn't be working on. I call this small data, or personal analytics. Social intranets are becoming more common. In many enterprises, the huge advantages of co-workers sharing information, updates and social currency are finally recognized. This is a good trend – towards flatter, more agile and more innovative organizations, wh ere every human has a unique value, and has the possibility to contribute to the work and workplace. But on the other hand, there is a strong tendency towards a "control-and-command" mindset in the workplace. It's treating people as cogs; not as the individual, socially aware and active, thinking humans that social intranets let us be. I fear that the latter perspective will become more common in 2014, because it's highly technology-driven, by companies that invest in the "big data"-hype. The focus of ESN deployments will be closely linked to a focus on Business Value and the Customer, with the inclusion of application of advanced, micro and real-time collaboration to improve customer advocacy, building engagement into organizational operational processes and optimizing the business value of ESN platform deployments. In order to exploit ESN ROI opportunities, companies need to find ways to reduce company cost and risks through the ESN platform, eliminate unnecessary duplication of data and functions, add analytic and big data capabilities to the ESN platform, enable streaming access to real-time information, as well as operationalize ESN analytics.